A fun book, featuring men with moustaches, I’m not sure if they are chefs, cooks or just men that like to cook. 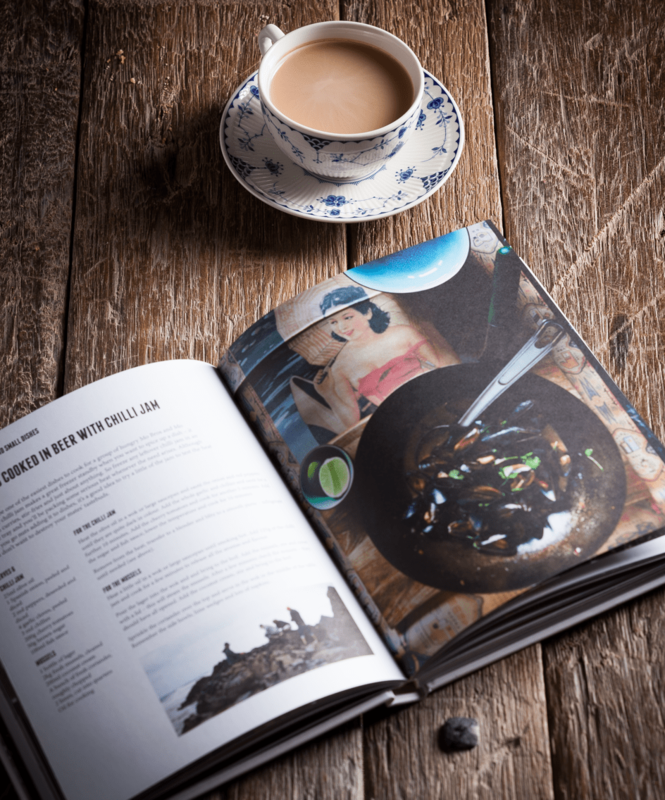 The book is packed with photography, with recipies taking a backseat, but that’s the way o like it. The photography in the book is not just of the food and dishes that have been coked, but also fun portraits of the cooks, reportage food prep and behind the scenes and lovely little deatil shots, I especailly like the last shot in the book of and chefs hand showing a tiny knife and fork tattoo. A really lovely visual book, some of the food photography is really great, some not so much, but overall a lovely to look at. There are some inspiring backgrounds and food arrangements, definitely worth a look at.